Does your business have high volume sales periods? Do you have big line-ups? Are extra staff required to handle cash transactions during peak periods? Annoyed with fixing tender errors? Tired of reconciling at days end? 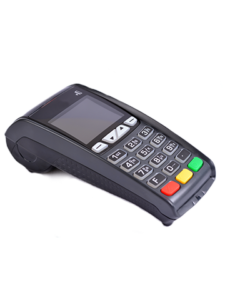 Profitek’s CCA software is an add-on application designed to provide integrated processing of credit and debit cards for both Profitek’s Retail and Hospitality products. Customer Bank Terminals are replaced by a system that reads the credit card through a magnetic stripe reader attached to the computer terminal or built in to the Credit/Debit PINpad for (EMV Chip Cards). When the tender screen in the POS pops up, or tap of the credit card is often all that is required. Tips are prompted automatically with suggested rates if required. For table service restaurants in Canada, a wireless pay at table terminal can be brought to the table, the totals pulled up, payment taken (with tips) and the table closed. At days end, once management has verified the totals, the POS system automatically posts the transactions to the bank as part of the daily close routine. Profitek connects to the processor using the internet via a secure SSL connection. Is your credit card processing slowing you down? Automatic recognition of card type. Automatic prompt for call in if the processor circuit is down. Automatic prompts to complete pending or voice authorized transactions at daily close. Automatic reversal on re-opening bill for adjustments and voids. Tap and Go payments including Apple Pay. Fully Encrypted, no-track two card data stored, simplified PCI requirements. Pre-authorization and completion for tips or tip adjust at end of day (US). Real time look-up of batch and intermediate totals and transaction details. CCA reporting by card type with variance. Options for number of CCA slips, customer and/or server name on slip. Cut transaction time at the point of sale in half. Transactions take from 2 to 6 seconds versus 20 to 25 seconds. Reduce line-ups. More throughput means higher productivity. either through reduced staff requirements or more sales. No more tender errors to reconcile. Transactions automatically posted as part of day end procedures. Valuable and detailed reporting on all transaction activity is available for cross checking the banks totals. With their advanced credit card integration options we are able to communicate seamlessly with our credit card processors ensuring PCI compliance and security requirements are met.